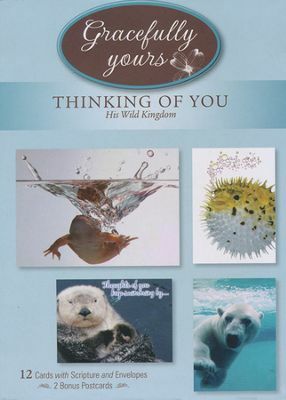 Elevate the hearts of family and friends with a Thinking of You card from Gracefully Yours. Delightful photography combined with cheerful sentiments and KJV Scripture will brighten spirits and encourage loved ones. Box of 12 cards, 4 each of 3 designs; measure 4.75" x 6.5".